Herons Folly Garden has been run organically for over thirty years, and is registered with the Soil Association. 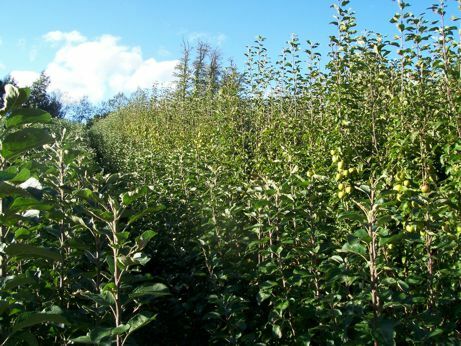 Our aim is to provide hardy disease-resistant apple trees that will bear good crops of clean fruit under ordinary growing conditions. We do not use fungicides, insecticides, herbicides or foliar sprays of any kind. Our nursery stock is inspected by the Department for Environment Food and Rural Affairs (DEFRA). There are tens of thousands of apple varieties world wide. We offer several hundred cultivars specifically chosen for their disease resistance. This site will be updated to accommodate new research.